Sloss Furnaces, a National Historic Landmark (designated so in 1981 by the U.S. Department of the Interior) in Birmingham, Alabama was a blast furnace, which produced pig iron from 1882 to 1971. 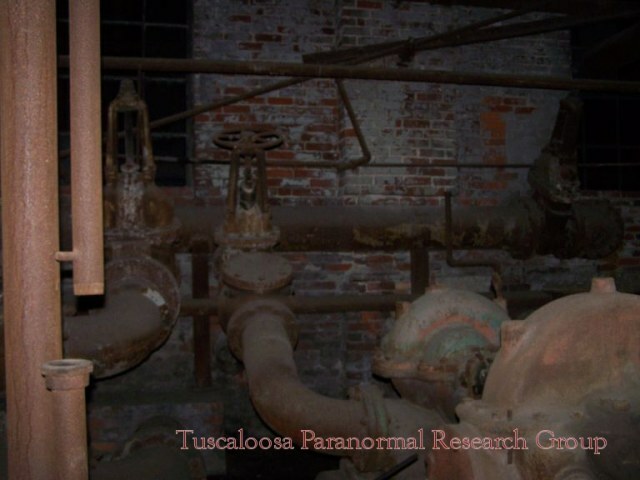 Founded by James Withers Sloss, the furnace produced 24,000 tons of iron in its first year of operation. 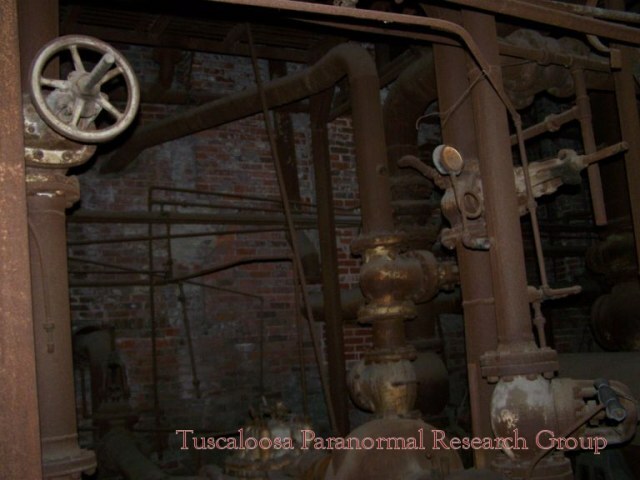 The Furnaces were sold to a group of investors in 1886, which reorganized the operation in 1899 as Sloss-Sheffield Steel and Iron Company. 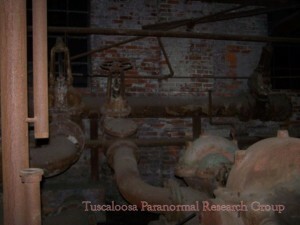 Between 1927 and 1931, the furnaces were completely rebuilt and expanded. 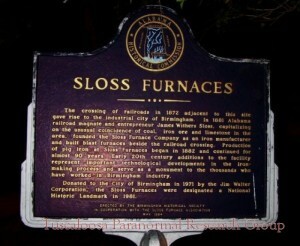 Around this time Sloss-Sheffield Steel and Iron Company became one of the largest producers of pig iron in the world. 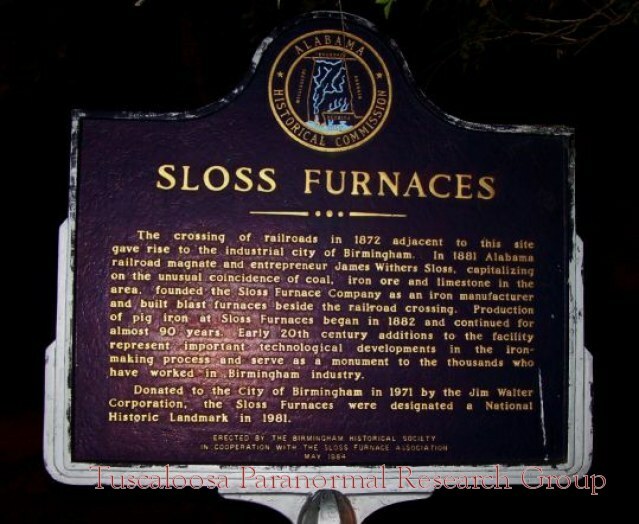 It was also around this time that the company built a community known as “Sloss Quarters” consisting of 48 small cottages for its African-American workforce. 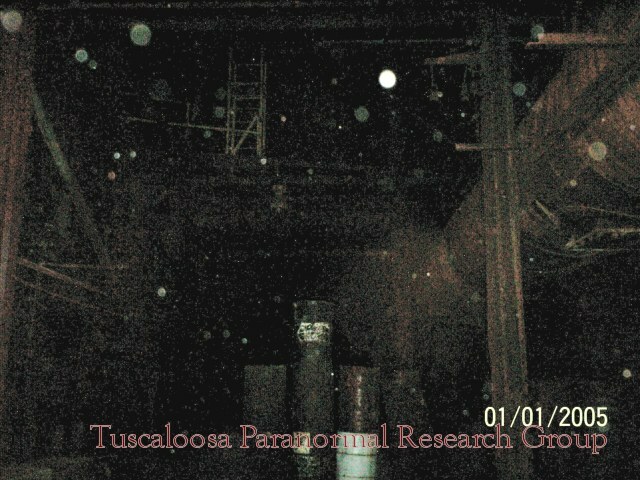 In 1952, the furnaces were sold to United States Pipe and Foundry. 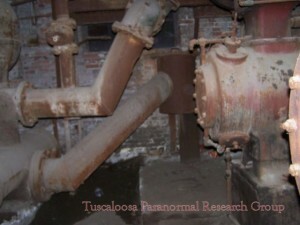 The Furnaces were then sold again to the Jim Walter Corporation in 1969 and operations ceased two years later. 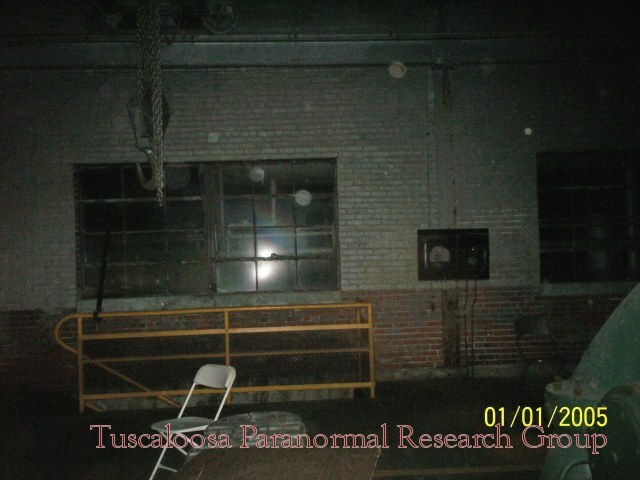 The Jim Walter Corporation donated the property to the Alabama State Fair Authority who deemed the property not feasible for redevelopment and made plans for demolition of the complex. 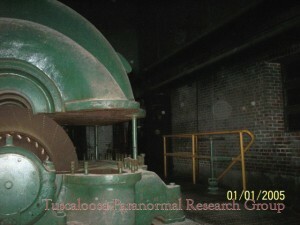 Due to the preservation efforts of the Sloss Furnace Association, the property was saved and became one of the first industrial sites to be preserved for pubic use. 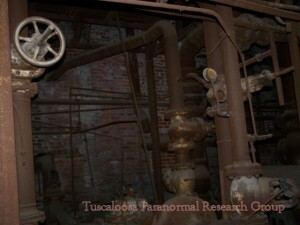 Today the site is used as a museum of industry, hosts a nationally renowned metal arts program, and serves as a concert venue. 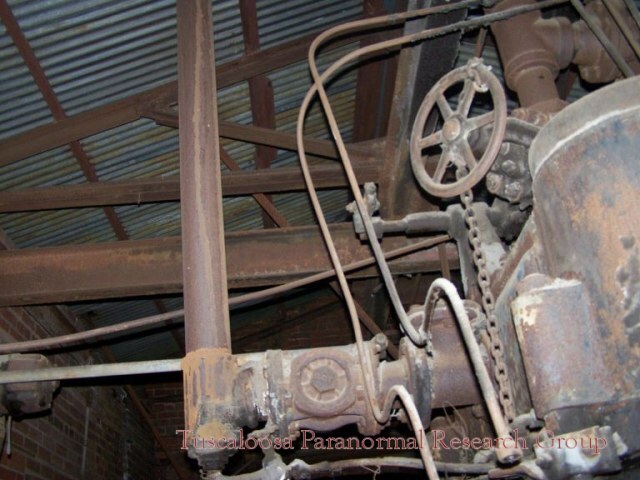 Each October, the site becomes a scare attraction known as “The Fright Furnace”. 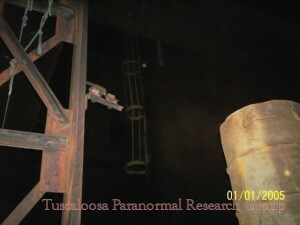 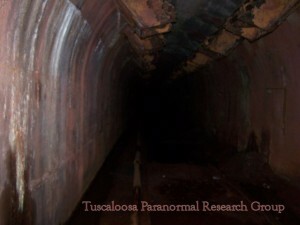 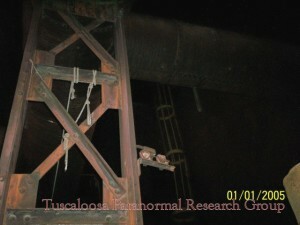 Due to the nature of the iron industry in the late 1800’s and early 1900’s, work at the furnaces was very dangerous. Mutilations, burns, and death were not uncommon on the job. Men working in the furnaces often had to work for hours at temperatures of over 120°. 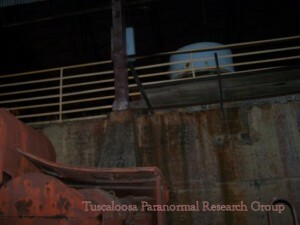 Sloss is widely considered to be one of the most haunted locations in North America. 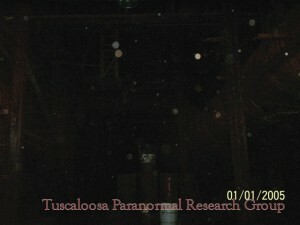 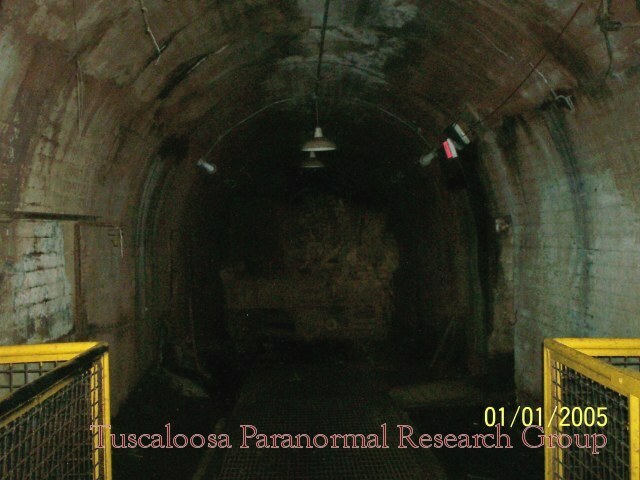 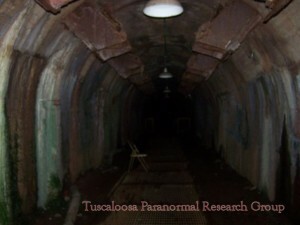 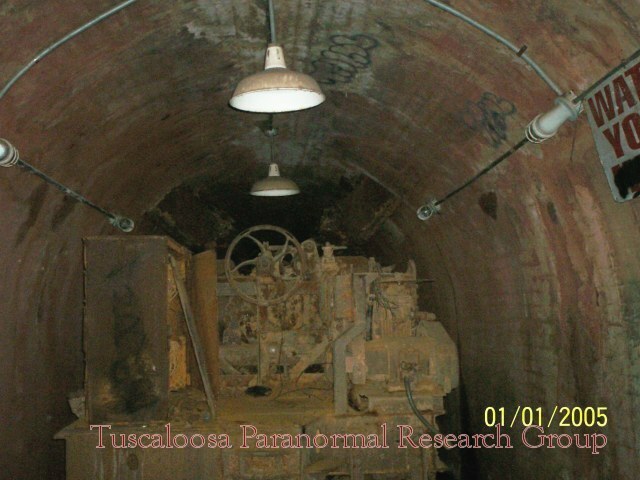 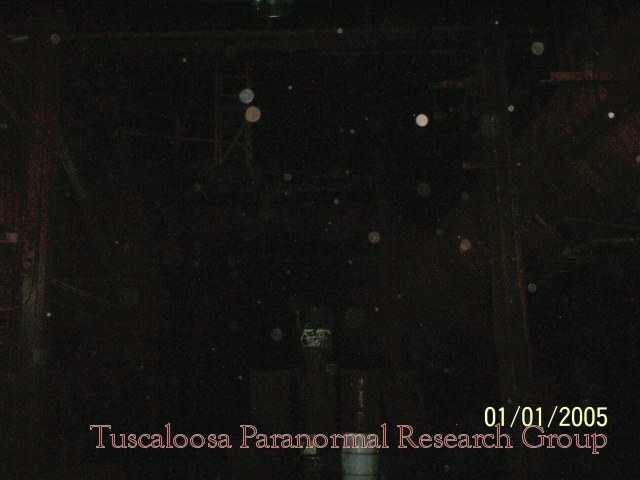 The Birmingham Police department has received over 100 reports of possibly paranormal activity related to the site. 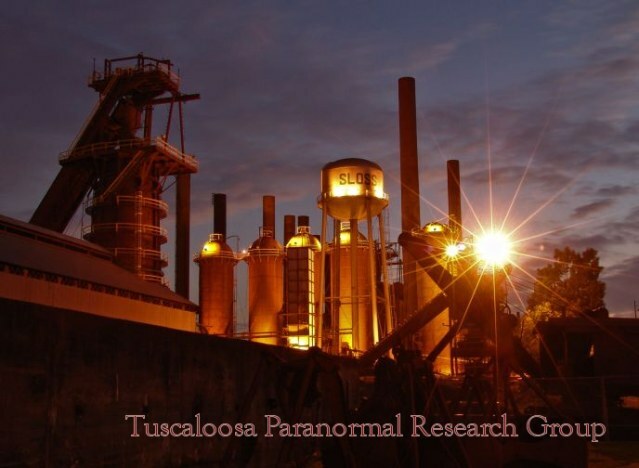 Reports of paranormal phenomena include apparitions, shadow people, audible voices referring to steel work (“Push that iron” and “Get back to work” for example), and physical attack. 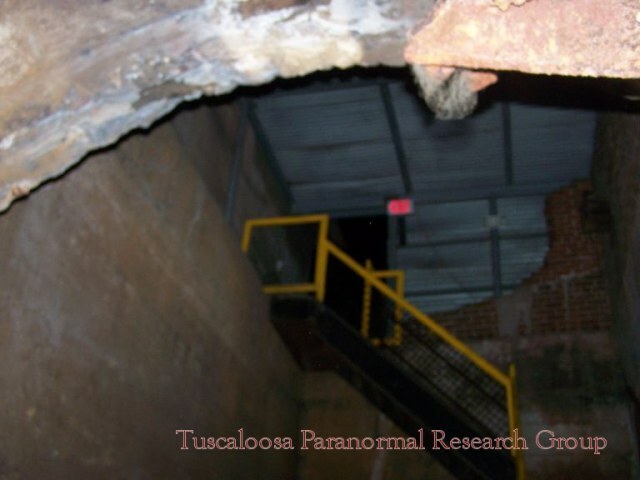 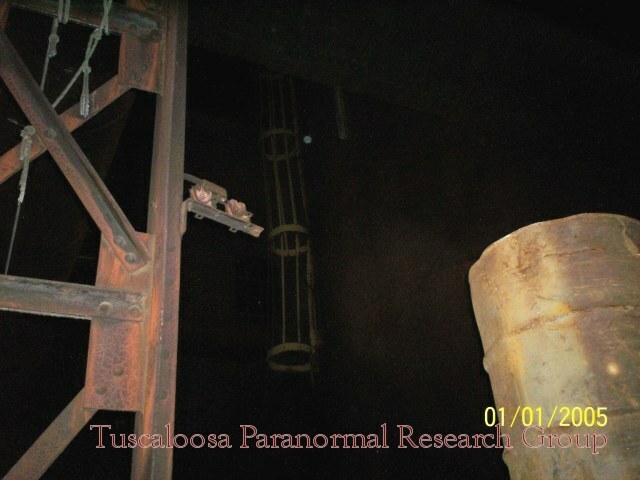 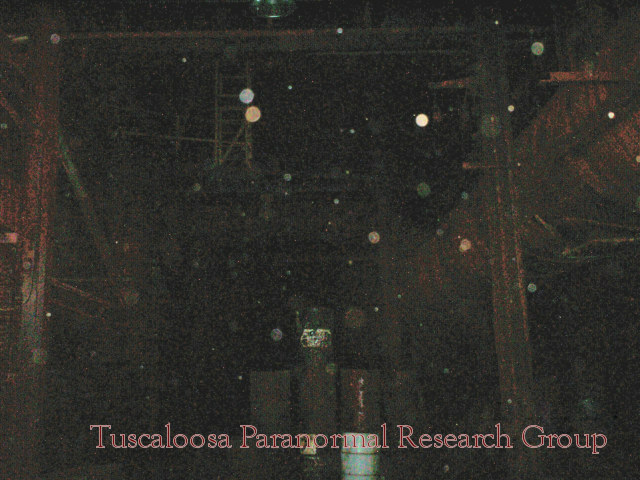 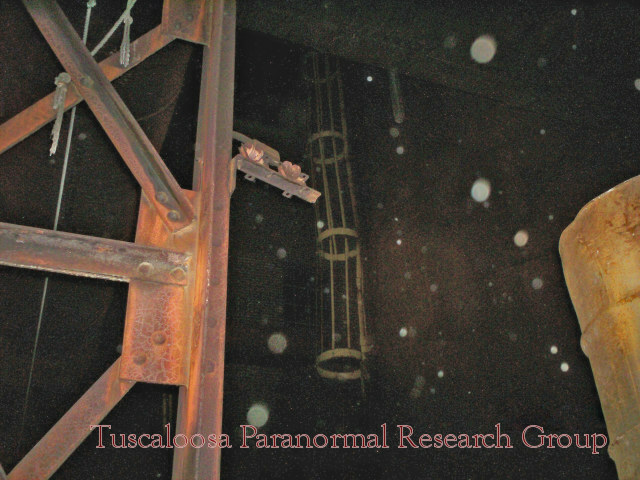 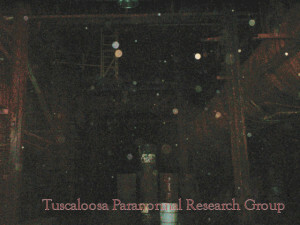 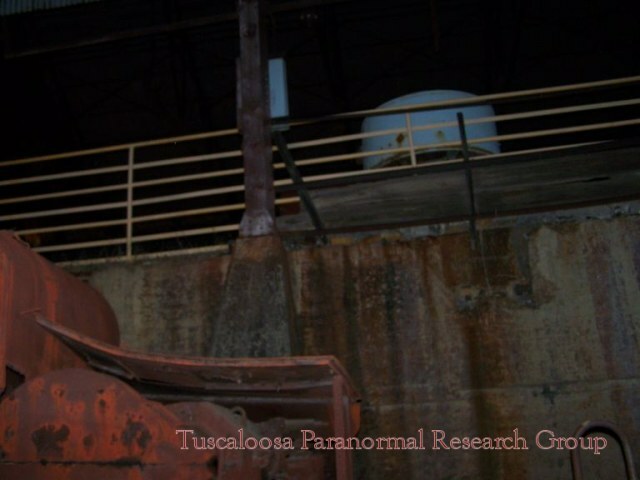 Sloss Furnace has been featured on Fox’s Scariest Places on Earth and has been the subject of numerous paranormal investigations. Taken with Digital Voice Recorders. "Help Me I Can't Hear Anyone"
"You Going To Get Trouble"
"You're Making My Head Spin"